One fateful day in 1996, after discovering that five freight cars' worth of glittering corn have reaped a tiny profit of $18.16, young Forrest Pritchard vows to save his family's farm. 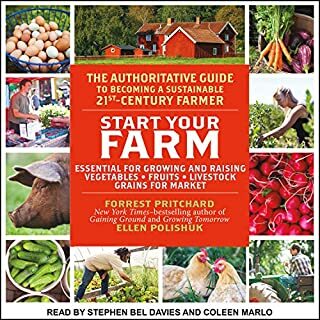 What ensues - through hilarious encounters with all manner of livestock and colorful local characters - is a crash course in sustainable agriculture. Pritchard's biggest ally is his renegade father, who initially questions his son's career choice and rejects organic foods for sugary mainstream fare. But just when the farm starts to turn heads at local farmers' markets, his father's health takes a turn for the worse. With poetry and humor, this inspiring memoir tugs on your heartstrings and feeds your soul long after you've finished. What made the experience of listening to Gaining Ground the most enjoyable? I listened to this book as I tended my own chickens. I could have never been so candid about my farming foibles, but I'm glad Forrest was. What other book might you compare Gaining Ground to and why? 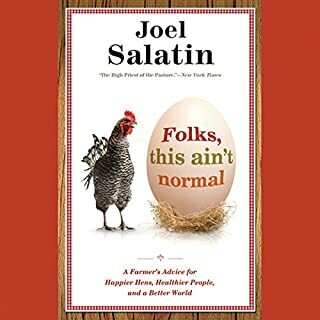 I had just finished Joel Salatin's book - This Aint Normal - and loved it. I thought at first this would be a litte like that. Some farming techniques may be similar, but Forrest's story is really funny, articulate, and humble - one to which other back to the farm types might be able to relate more readily. Perfect. Sounded like a budding farmer might sound. What did you love best about Gaining Ground? It's well written--reads like a good novel. I like Pritchard's sense of humor and how well he characterizes people. What was one of the most memorable moments of Gaining Ground? There story was full of memorable moments. The goat riding shotgun in the pickup was one of the funniest. Wayne's performance was close to flawless. He gives everyone a unique voice, but doesn't go overboard. Some books surprise expectations. This is one of them. This isn't a how-to-book, it's a heart warming story about a lifestyle many of us fantasize about, but probably wouldn't last day. An inspiring glimpse at the plight of the farmer. Having a new understanding and desire to support our local farmers. I don't want to ruin any of the beautiful moments in this book, but there were many memorable moments. His performance was wonderful. He made the characters in the book come alive in my mind. Hope for the small American farmer. I got this with a 2 for 1 sale. I LOVED this book! 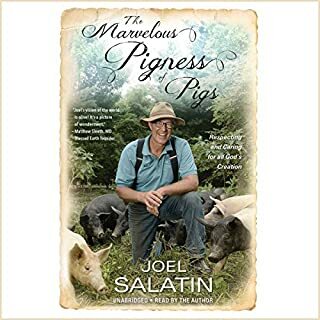 Even though the premise of the book is how he made it through the beginning travails of putting the farm back on track, I think when I finished the book the thing that stayed with me the most was how it brought his whole family together and allowed everyone to pursue their own individual dreams. I am one of those farmer's market shoppers. The community feel, eating lunch, perusing the veggies, baked goods and humanely raised meat and eggs is a joy that should be much more widespread in our country. The humor and love in this book just radiates outward. The narration was spot on! 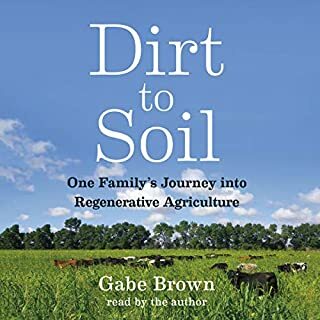 The story has a great amount to think about and the work seems to be hard beyond words, but I have walked away from this story with greater respect for the family farm that doesn't take government subsidies. The family farm is a place to reward for keeping our community strong and connected. This book was super. It was a clear, concise, nicely paced account of how Forrest Pritchard struggled and ultimately succeeded at "fixing things." To understand what I mean by fixing things, you'll have to listen to the book. 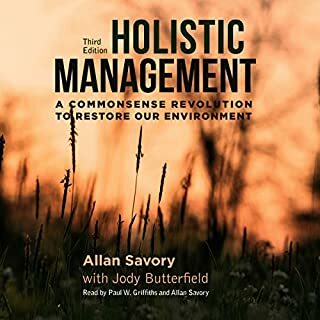 This book is an excellent read for city dwellers and those who wonder why organic and locally grown food costs more than supermarket, corporate food. Forrest makes his way from a total innocent to a farmer who know what is important to him and his family. He makes a lot of mistakes along the way, some very costly. But he learns and improves his business year after year. Along the way he is encouraged by his parents, sister and girlfriend/fiance/wife. Be aware though that he does frequently come across as judgemental. He is pretty intolerant of his customers who have no idea how food as grown - you can almost hear his groans and see his eyebrows twitching. I can easily imagine being alienated by him at my local farmers' market - one of the reasons I shop there is to learn and I know I ask stupid questions. More importantly, he is overly condescending to his father. Dad knows he does not live a healthy lifestyle and makes poor food choices - he does not need his son lecturing him. Almost at the end there is a short 15 minute rant about government subsidies and people who do not buy local food. It does not match the tenor of the rest of the book and I would have suggested it be left out if I had been his editor. 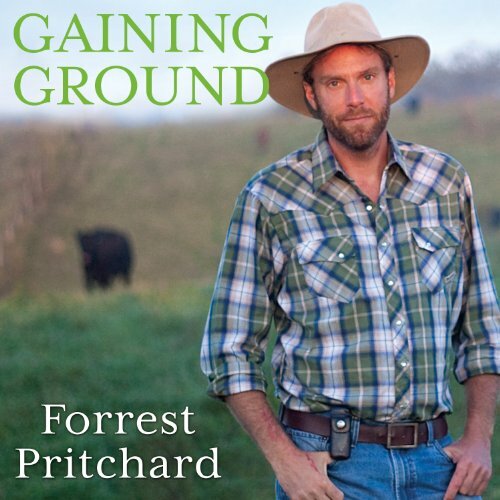 But I did enjoy the book and the tale of Forrest's growth as a farmer changing his approach a bit ahead of the curve. It is good to know he is still running his farm, using his hands-on philosophies. I am happy to have discovered this book. the reality of day to day farming was very well explained. the importance of local farmers markets is now much clearer. Accurate look into the mind of a farmer. 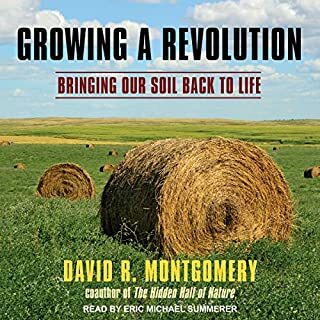 I farm 52 acres in Connecticut and while listening to this book it was scary at times how close to my own story it was. I typically do not outwardly react to books but with Gaining Ground I both laughed out loud and cried more than once. This confession coming from a guy who slaughters his own animals. This book is great and highly recommended. My only hope is that we see more like it. There are a lot of farmers out there sharing a similar story.